here some alternative way to define the different arrowheads. 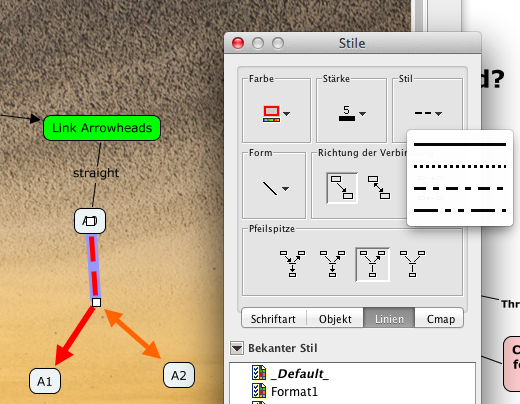 For met it seems more intuitive if the arrowhead is need the end of the line. Are you referring to directional Links? I'm not sure I understand what you are trying to illustrate here. Could you elaborate a little more please? Thanks. 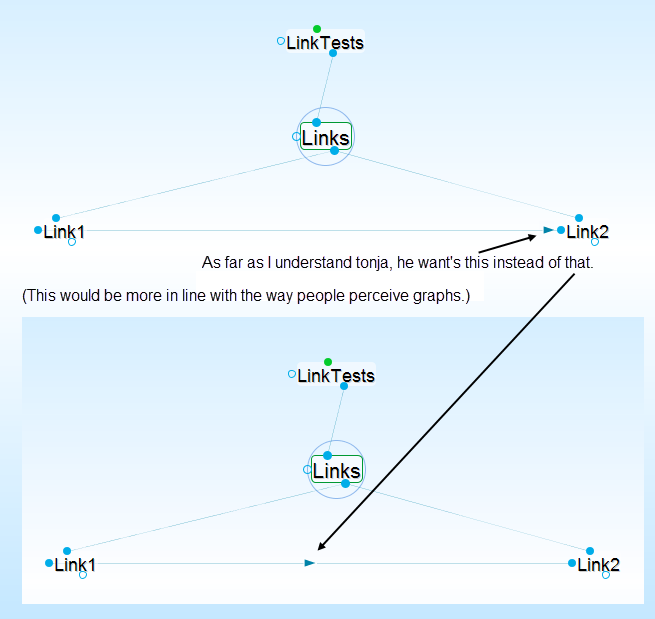 yes the logical topology would be split-links and if this so you need typically to customize the link style (dashed or full line and the arrowheads with different types). Especially arrows have in the normal word the arrow at the end not in the middle (if you ask a child to draw an arrow between to objects...).